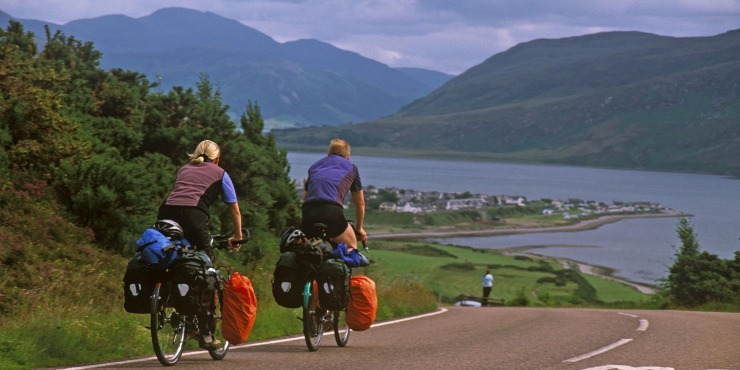 Whether you’re a recent convert of two-wheel travel, or just want to dabble with the saddle, Scotland’s vast landscapes and varied terrain makes it the ideal destination for cyclists of all ages and abilities. 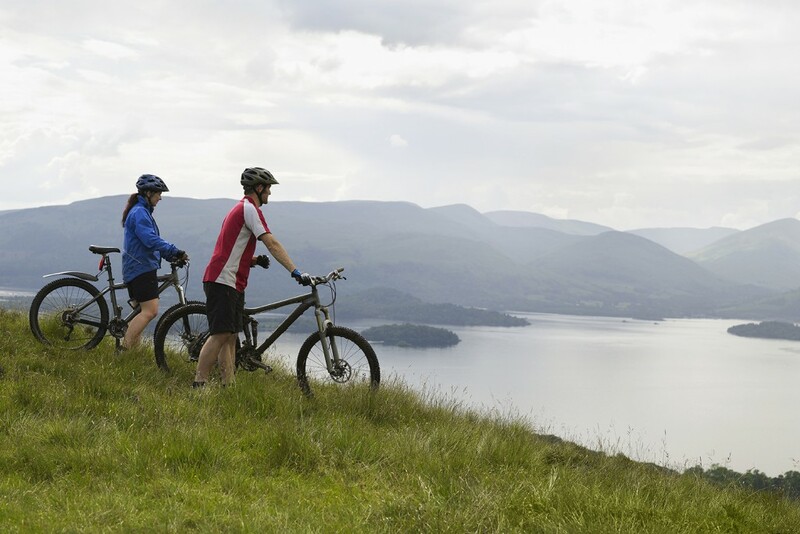 Split into 15 regions, Scotland offers city-based routes, mountain climbs, island cycle paths, loch-side trails and challenging tracks for the experienced mountain bike rider. Scotland’s Outdoor Access Code enables cyclists to explore the nation ‘off the beaten track’, and if travelling by train, ScotRail allows you to take your bike on board for free. In Scotland, you are never far from somewhere to cycle, whether it’s down to the nearest village or as part of a nationwide tour. So get that cycle rack out of the garage, fix on the bikes and head for the open road! However, if you don’t own a bicycle, there numerous cycle hire places dotted around Scotland, and Visit Scotland’s excellent guide advises where you can hire a bike or two. Of course, the routes, type of bike and where you want to stay all predict the profile of your cycling holiday. And while only you can decide the safe level of your fitness, there is one comfortable constant – sites where you can stay between bike rides! You could go for tree houses, bothies or safari tents, but what about a timber-framed Wigwam? Most Wigwam Holidays sites in Scotland receive their fair share of cycle-mad guests, so have special facilities for cyclists. However a number of sites are close to National Cycle Network routes that criss-cross the terrain from the Shetlands down to the Borders, along with countless other cycle-friendly tracks and paths. Glamping and cycling go hand in hand. Is there a better way is there to continue your cycling adventure, but still have a comfy warm nights’ sleep? In Scotland, you’ll find many glamping sites on cycling routes or at specific mountain bike trail centres. The Scottish mountain bike trail centres are famous around the globe for catering for all abilities, all weather and world class riding. Glentress is the most famous is part of the 7 Stanes network. 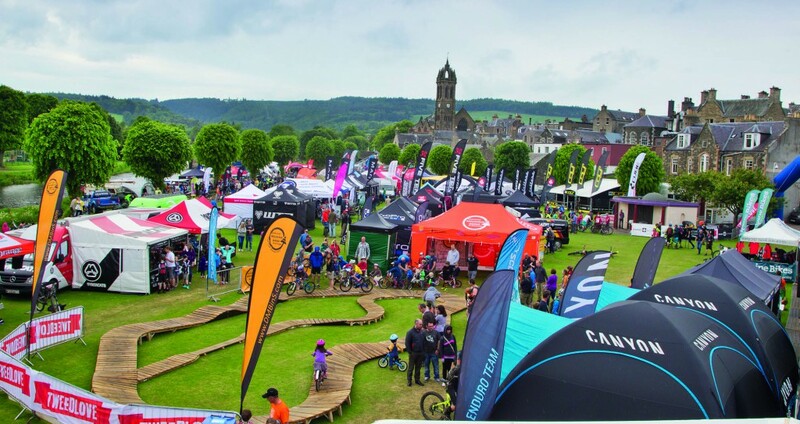 The Scottish Borders is probably the busiest cycling area at the moment, and you expect so with the Tweedlove Festival and events that go on throughout the year. Catering events for all abilities, competitive or non-competitive, road and off road, you will find something for you. 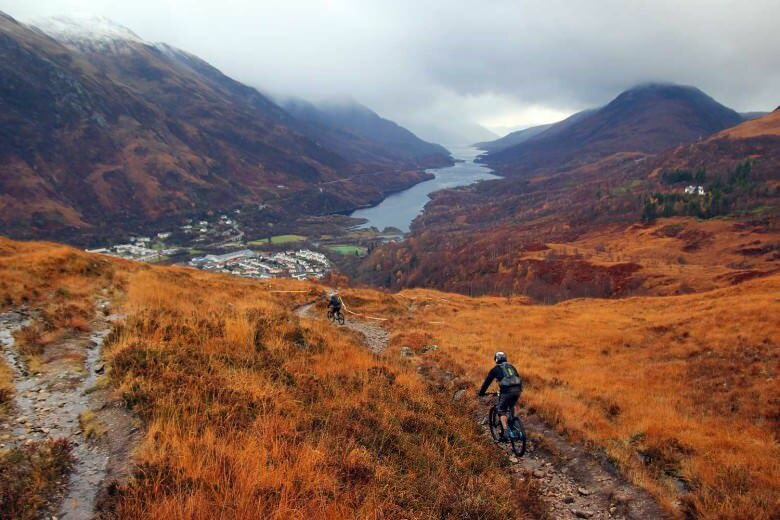 There are plenty of other cycling festivals around Scotland, including the Rock & Road Cycling Festival, Angus Cycling Festival, Fort William World Cup (which is an amazing day out!) and many more can be found at Bike Events Scotland. One of the best ways to plan your route is to visit Sustrans, an excellent website packed with information for cyclists. You can’t go to Scotland and not visit one of its beautiful lochs so why not try Loch Tay Wigwam Village, close to the village of Killin on the shores of the beautiful Loch Tay. This site is also close to one of Scotland’s National Cycle routes on the edge of the Loch itself. Massive cycling events happen all over Scotland! Hilly Cow Wigwams are located at Leyden Farm in West Lothian, just a 30-minute drive from Edinburgh city centre. Boasting stunning views of the Forth Valley and Pentland Hills with the many walks and cycling routes nearby. In short, too see Scotland in all its beauty then cycling is one of the best ways to do it. No matter how far you travel, from a couple of miles to hundreds, it’s a satisfying and often peaceful way to travel. British Cycling includes a section on Cycle Scotland, with a handy events search tool so you can find out if there’s a cycling festival taking place. Or you can visit the ‘Visit Scotland cycling portal’ for all things Scottish and cycling!